How are you doing today? 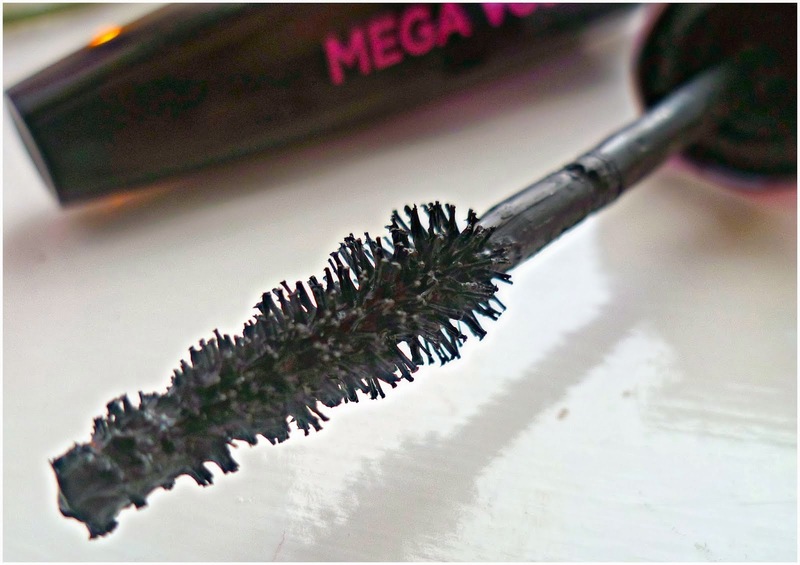 I am really excited today to review this newly launched mascara by L'Oreal. Its called “Miss Manga” and if you are into anime that name would sound a bell :) Manga are Japanese comics - black & white cartoon sketches of boys and girls with the big sad eyes and pointy bangs. When you look at these characters your attention instantly gets hooked to their lovely big eyes ! Like the name states "Mega Volume" this product is meant for offering extreme volume to lashes. True to its claim, the volumizing abilities of this mascara are unbeatable, plus the increase of length is good too. 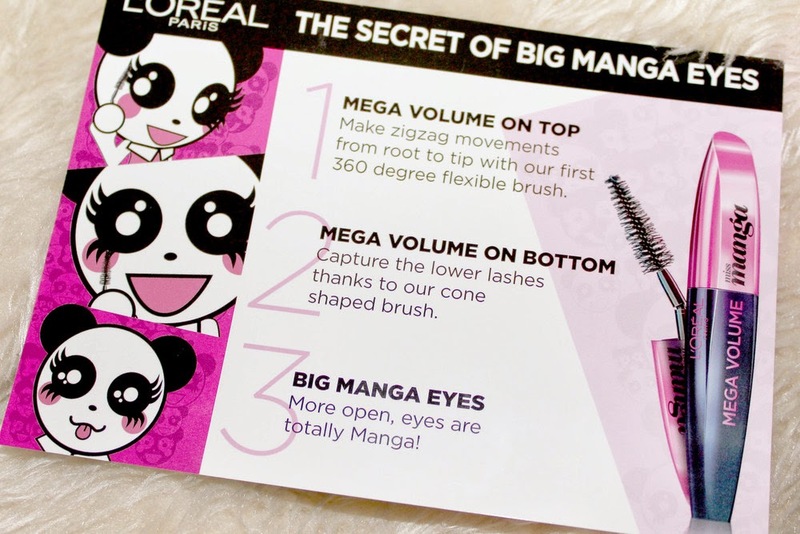 It does lift your lashes even without using a curler, thereby giving them a 'doll like' effect - much like the looks of Japanese animations called "Manga". I feel that the formula is just too 'wet'. It just seemed to get everywhere, all over my eye lids and hands. But it seemed to work better on my bottom lashes. It dries really really fast, which in my opinion is the reason for the clumps. I would recommend this mascara for girls who really understand the application of a wet and volumizing Mascara because it is very likely that you can mess up while applying this mascara and an attempt to layer mascara on your lashes could look quite spidery very quickly. It comes in a black bottle with pink metallic cap - not a very attractive packaging. It is very similar to a lot of the other loreal mascara’s. However, Slight changes to packaging were made to highlight the ‘Miss Manga’ product. It is quite feminine and sophisticated and an attractive packaging would have helped. The brush is the bristly type which is wider at the bottom and pointed at the tip. The wider side covers all of the outer corner lashes, and the thinner end is able to reach the lashes at the inner corners of the eyes. The wand handle is really bendy and flexible so the brush glides through the lashes without too much effort. It doesn't smudge or flake and stays on all day. It's not waterproof but it lasts all day (i wore it for continous 10 hours) ; plus it's easy to remove at the end of the day with any regular cleanser or makeup remover. The mascara is pretty good at covering bottom lashes and if I want big doll eyes, this is what I'd use. I do prefer it for coating bottom lashes compared to any of my other mascaras. As for top lashes, the mascara allows quite a few quick coats before it starts to get clumpy. All in all, this product does require a little work. With effort it can look gorgeous and will stay looking nice throughout the day, so long as you keep your eyes open for smudges.